All surveys and polls are organized in folders. An unlimited number of sub-folders, and an unlimited number of folder levels, makes it possible to create an hierarchical structure suitable to any organization. The installation will create a main folder, which may contain surveys, polls and sub-folders. This folder is editable but can not be deleted. When navigating through folders, the current folder is always shown at the top, below the main menu. 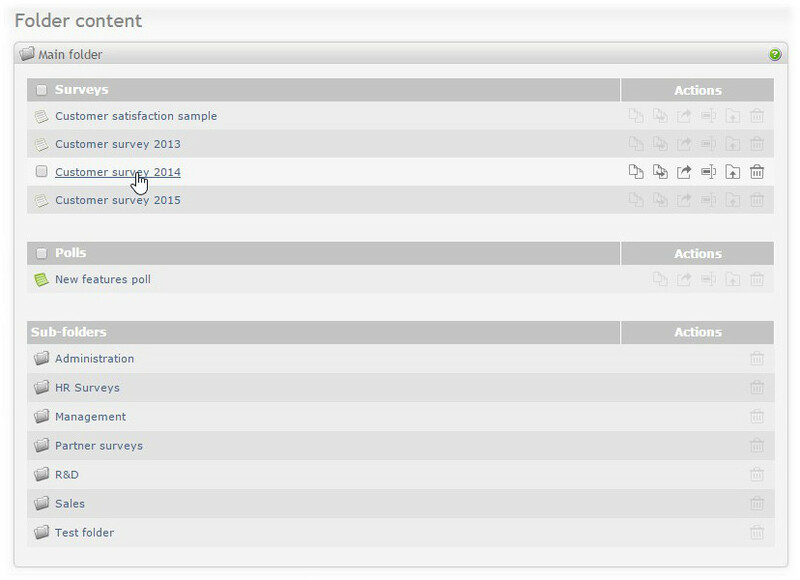 From this screen you can access, copy, export or delete surveys and polls (if there are any).